Daniel Suelo lives in caves in the canyonlands of Utah. He survives by harvesting wild foods and eating roadkill. He has no job, no bank account and does not accept government welfare. In fact, Suelo has no money at all. Suelo may have shunned all the trappings of modern American life, but he is not an isolationist. 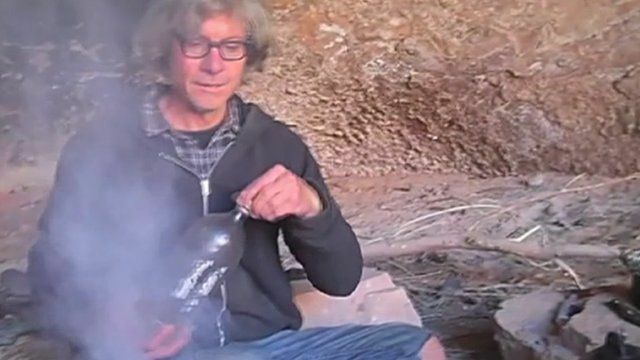 Since abandoning money in 2000, the former cook from Moab, Utah has remained an active member of his community and avid blogger. Mark Sundeen, author of The Man Who Quit Money, admits many people would regard Suelo's alternative lifestyle as bizarre. But the 2008 financial crash has led many to question the value of money. He explains some of the lessons found in Suelo's philosophy.